Colva, South Goa's popular coastal village, is a well-known tourist destination having amazing beaches, hotels, restaurants, pubs and bars. It offers an ideal environment for travellers to relax and have an exciting time during their vacation spent in Goa. Beaches of Colva are monitored constantly by highly efficient lifeguards, and they have flagged areas for swimmers. A traditional feast is celebrated in the Church of Our Lady of Mercy on the second Monday of October annually, which is attended by a large number of pilgrims and tourists. They throng this church in Colva to pay their obeisance to infant Jesus, who is believed to possess miraculous powers. The feast is called 'Fama De Menino Jesus De Colva' among the locals. 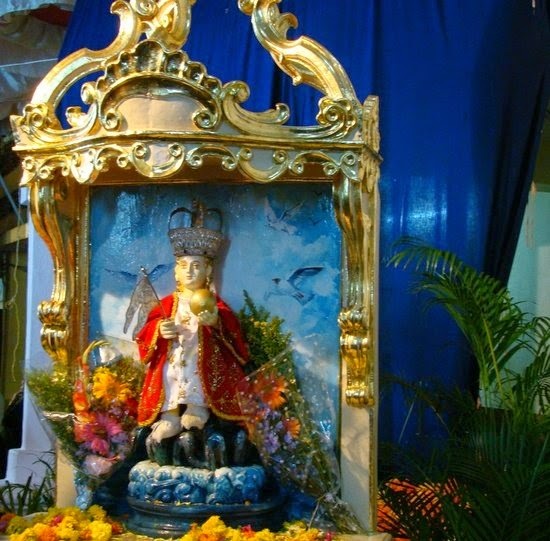 According to a legend, the statue of infant Jesus was found off the Mozambique coast during seventeenth century by a Jesuit missionary known as Father Bento Ferreira. When he was sent to Colva, he had the statue enthroned after getting a special altar built for the purpose. An annual feast or 'Fama' was held a few years later, during which, the statue was kept for public veneration. Later, when the Jesuits left Goa following political upheavals in Portugal and suppression of religious orders in Goa, they carried the statue along with them. People of Colva decided to make a replica of the original statue. A golden ring, believed to have slipped off from the original statue, was mounted on the new one. The Fama De Menino Jesus De Colva began once again after a long gap, and the tradition still continues. On the occasion of Fama, the entire region of Colva comes alive with festivities and crowds of devotees. Rooms and suites in Colva Beach hotels are booked in advance by most of the tourists, considering a heavy rush of travellers around this time of the year.